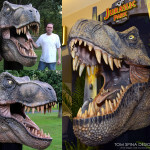 A foam life sized T Rex bust for a museum display! 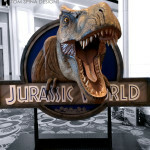 A museum contacted us looking for a dinosaur head prop for sale… sort of a typical Tuesday around here! 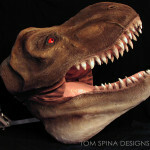 We discussed ideas about creating a custom realistic foam life sized T Rex bust for them that could be mounted on a wall. Based on their goals and taking into account their budget, we came up with the idea of creating a profile head. Essentially, we built one half the head, just the right side of the dinosaur’s face and mount that on the wall length-wise. This kept budget in check and kept the piece from extending too far into the viewing space too. A great solution! 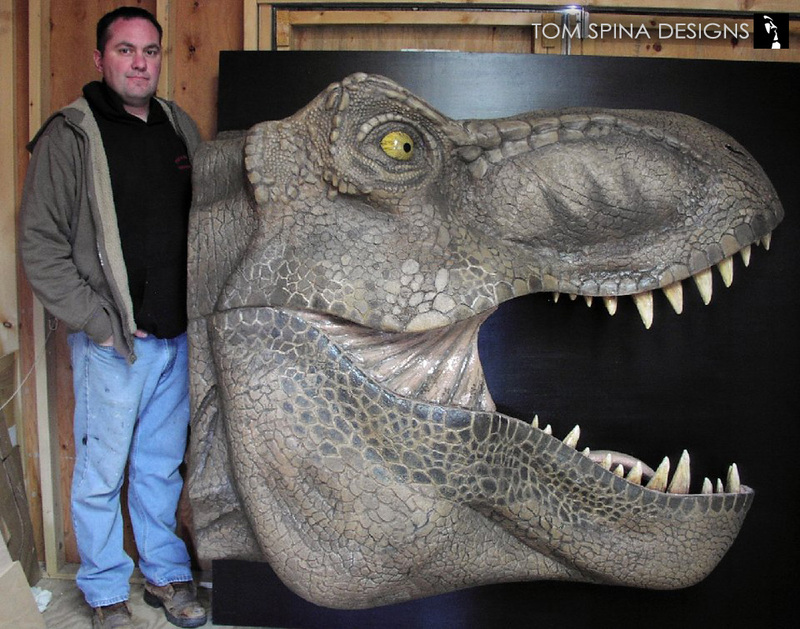 Our lead foam sculptor Rich Riley created this hand carved EPS foam Tyrannosaurus Rex, whose head was almost as tall as he was! The life sized bust was carved in foam, right down to the scales. 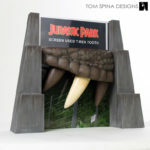 The T-rex prop is textured with a hand-applied coating for durability and movie style detail and finished with quite a few hard resin teeth. The whole foam head was then mounted to a large black wood display board for hanging on the museum wall. 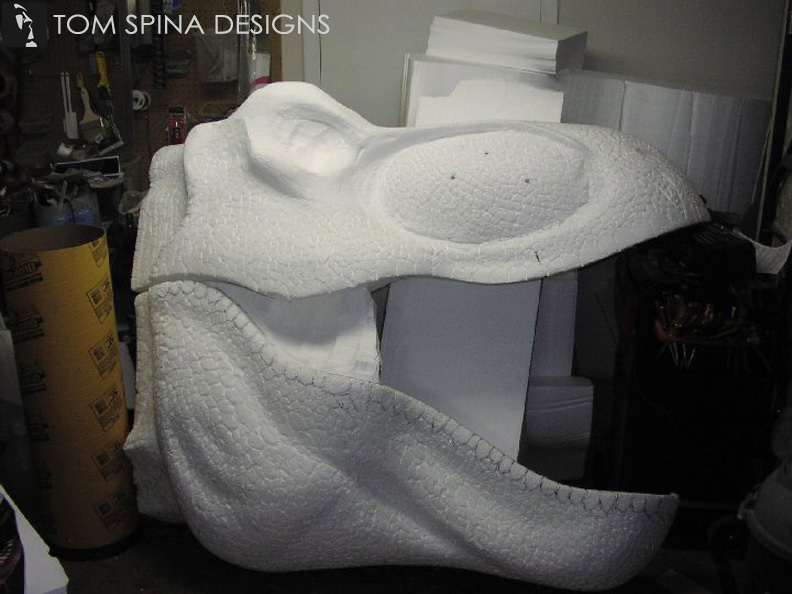 Most importantly, by combining foam carving and fabrication with creating only half the dinosaur’s head, the cost of this prop was kept under the client’s budget. We can create all sorts of creatures and characters using this sculpture technique, and our New York studio’s work can be seen in museums, auctions and even private collections around the world. 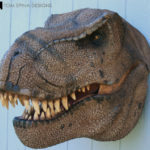 Looking for a unique art piece or foam sculpture for your office of museum?